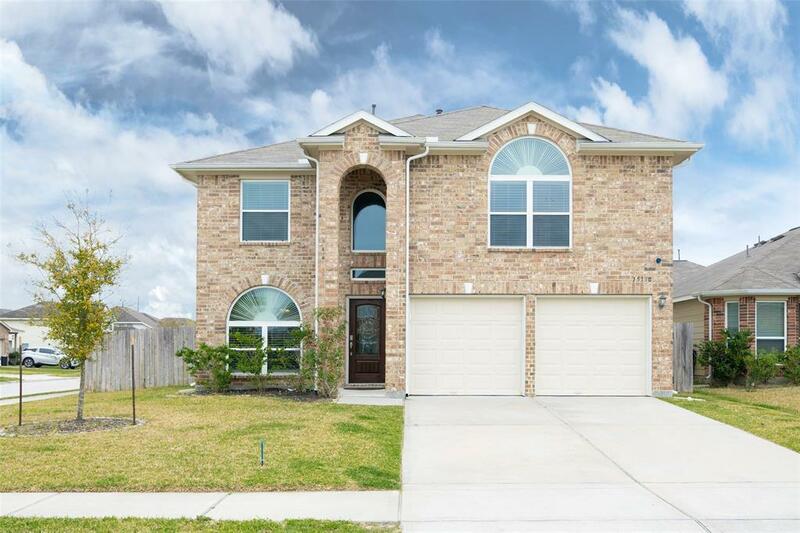 Lovely two story home located on a corner lot features 3 bedrooms, 2.5 baths, a 2 car attached garage, brick curb appeal, and an open floor plan! 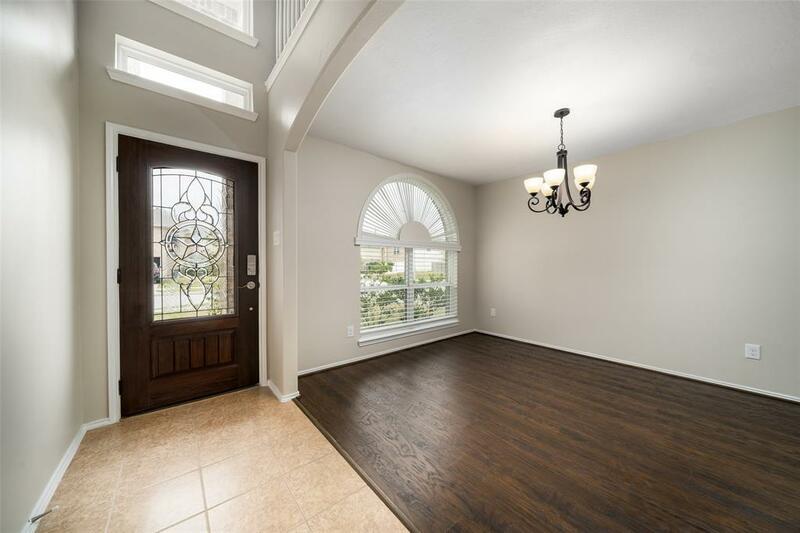 There is a grand foyer, elegant formal dining, beautiful wood laminate and tile throughout, carpet in the bedrooms, and a spacious living room with a cozy corner fireplace and wall of windows allowing nice natural light. Adjacent is the breakfast area and the open concept kitchen that has granite-look counters, ample cabinet space, and a breakfast bar for extra entertaining space! 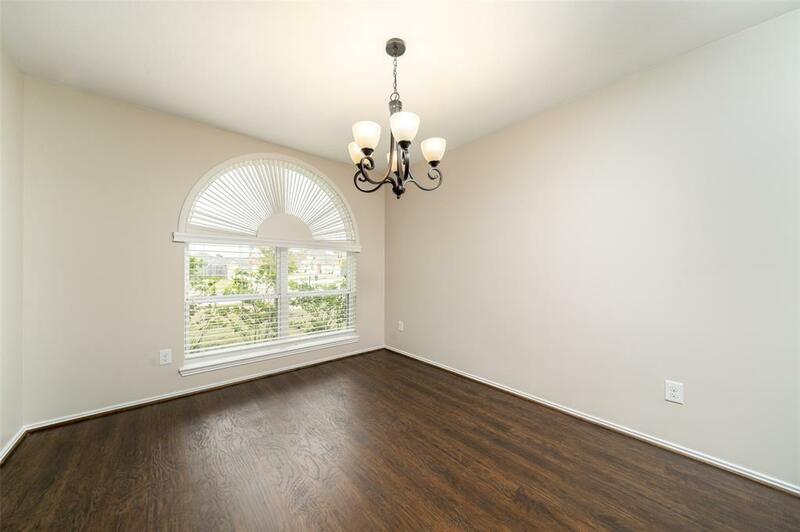 Upstairs includes a game room, an open bonus room that could be easily converted to a 4th bedroom, and the large master suite with a sitting area, dual sinks, separate shower, garden tub, and a walk-in closet. 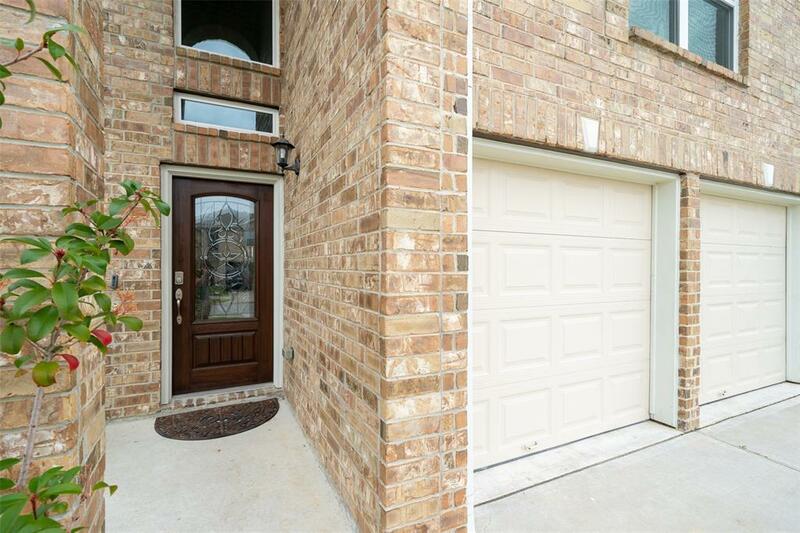 Relax under the extended covered patio, and enjoy the easy access to Beltway 8 only a few minutes away, local shopping and dining, I-69 , I-45, and Bush Airport! Neighborhood features park, pool, and school. Listing courtesy of Mark Dimas Team.